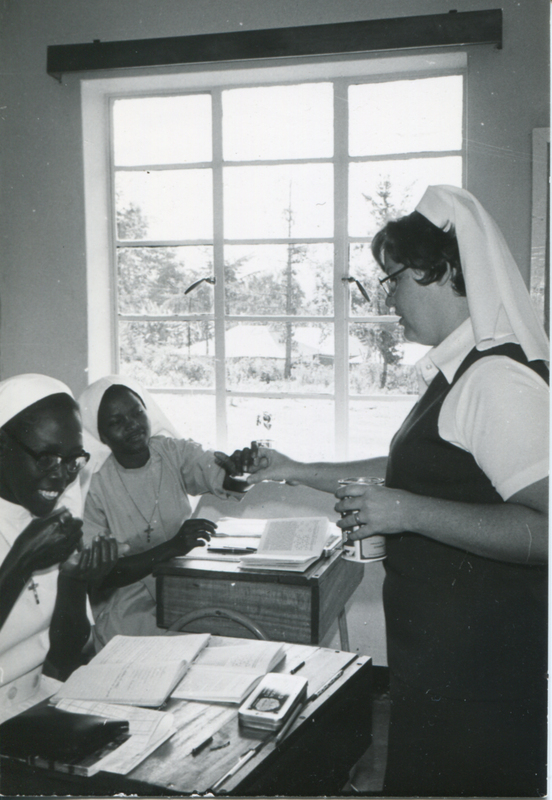 This year, Nigeria marks the 40th anniversary of School Sisters of Notre Dame presence on the Nigerian soil. We the sisters in Nigeria rejoice in God’s goodness, love and hope, as we continue to trust and deepen our relationship with God and humanity, we shall soar high. 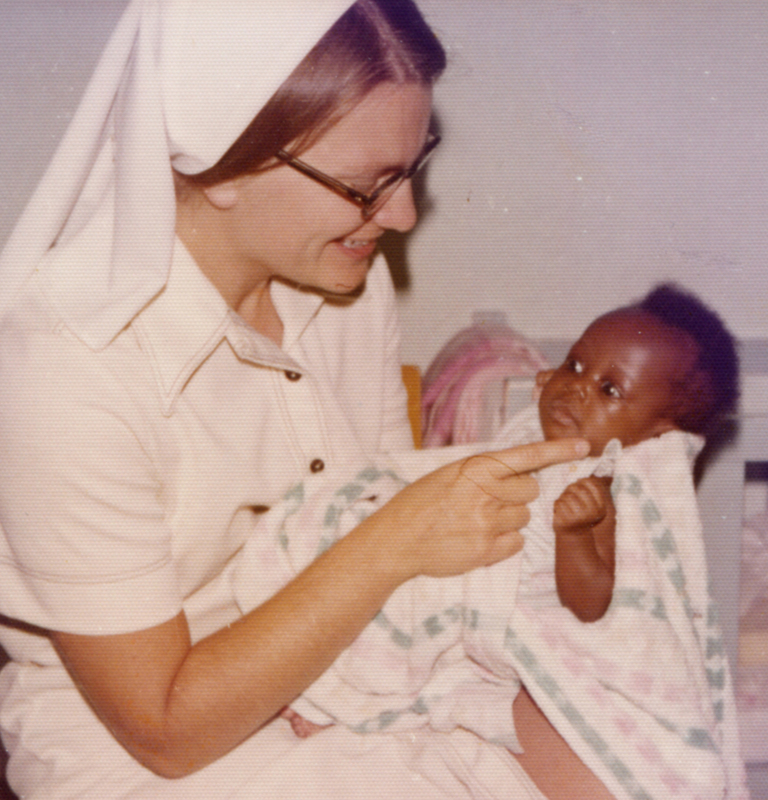 The first School Sister of Notre Dame who came to Nigeria in 1974 was Sr. Melmarie Gentry from Baltimore province . Sr. Melmarie was invited by Bishop Obot, the then Auxiliary Bishop of Ikot Ekpene Diocese . Sr Melmarie met Bishop Obot in Rome and Bishop Obot requested her to teach come to Nigeria and teach in the seminary and in the girls secondary school in his diocese (Ikot Ekpene). Sr. Melmarie’s coming was an individual commitment but afterwards, the Baltimore Province in the United States made a commitment to Nigeria. 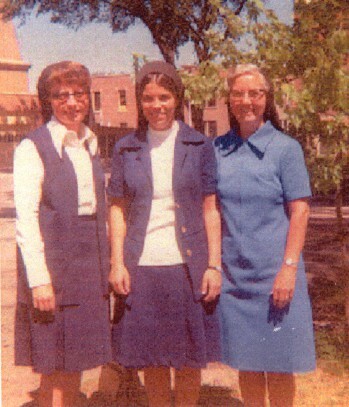 In this regard, Sr. Gabriel Roeder from Baltimore and Maris Simon from Mankato joined Sr Melmarie in 1977. 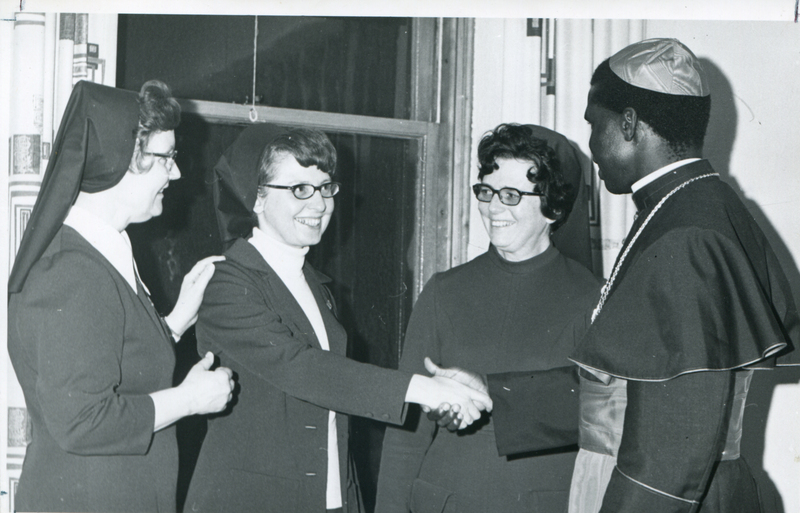 In 1981, Srs Dorothy Hunt and Virginia Brien joined the sisters in Nigeria. 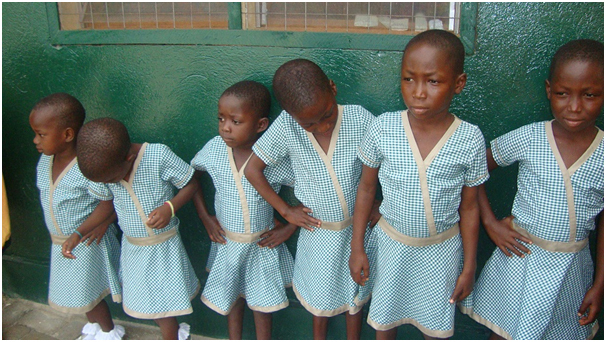 They taught at a private secondary school at Ikot Ekpene and lived in a rented building. The chief and the villagers in Ikot Etuk udo were not comfortable seeing the sisters living in a rented house and they offered land for the sisters to build a convent. 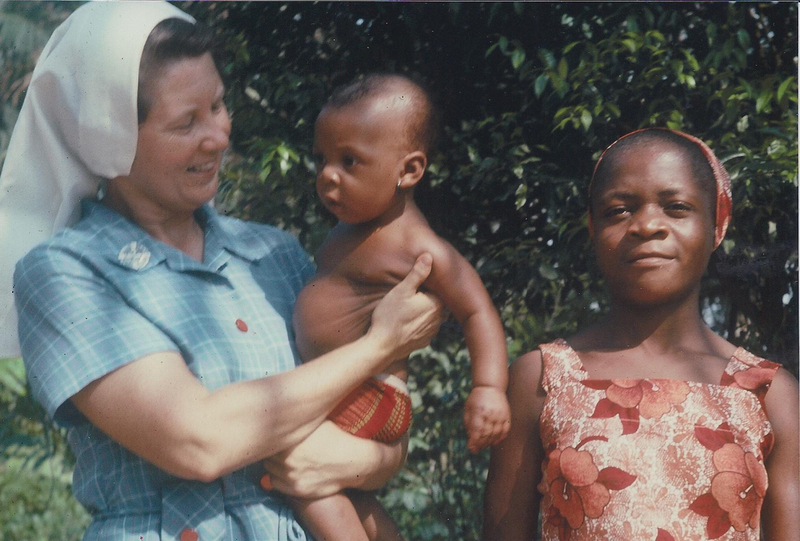 In 1984, the house was completed, Cardinal Dominic Ekandem blessed the new residence for the sisters.Through the generosity of our sisters in Bavarian province, Mother Caroline’s Nursery and Primary school was built at Ikot Etuk Udo. Today the school is called Notre Dame Nursery and Primary School. Even though the sisters are no longer ministering in this school. 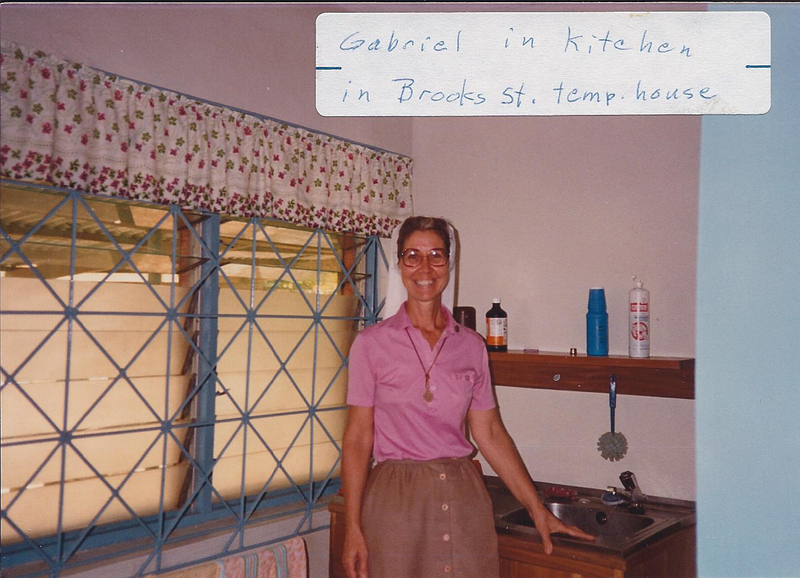 In 1985, Sr. Eugenia Forebeck arrived and 1987 Sr.Jane Irons followed. Since then many sisters from the former Baltimore, Chicago, Canada, Dallas and Milwaukee provinces have worked in Nigeria. Some of them are: Sr. Martin Colbert, Sr Peg Malone, Sr. Sharon Dei, Sr. Anne Vogel, Sr, Carol Schmitz, Sr Anne Arthur Klinker, Sr. Betty Roesser, Sr. Doreen Schommer, Sr. Antoinette Naumann, Sr Jane Weisgram, Sr. Sandy Weinke, Sr. Inez Bocklage, Sr. Carol Kleber, Sr. Marie Theresa Nowakowski, Sr Sylvia Borgmeier, Sr. Antoinette is now ministers in Sierra Leone and other sisters have returned back to their different provinces of origin . Sisters Melmarie, Sharon Dei and Carol Kleber have gone to heaven. May their gentle souls rest in perfect peace. Amen. The sisters taught in secondary schools , seminaries and others worked in the remands homes. Most of the sisters worked as formators for the young sisters. In 1989, the formation house was built at Mbribit Itam in Uyo Diocese. 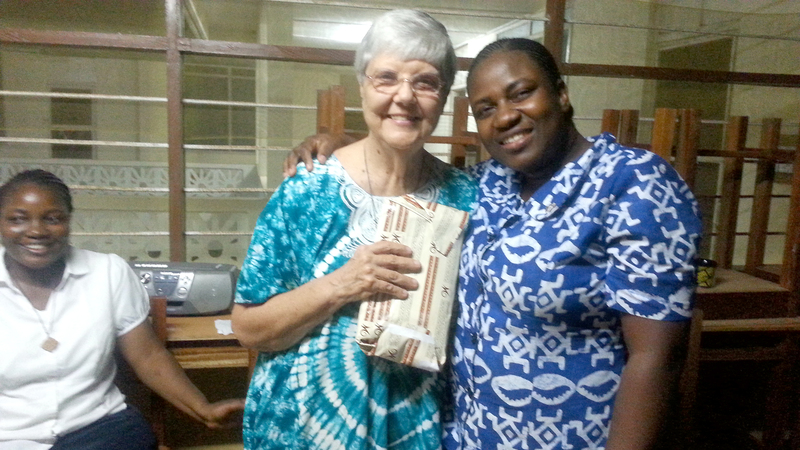 Sr. Martin Kolbert was the first postulant directress,she was assisted by Sr. Anne Vogel, Sisters Carol Schmitz, Carol Kleba, Marie Theresa Nowakowski, Antoinette Naumann and Sandy Weinke were also formators in Nigeria. In 1993, Sr Gabriel Roeder built the Notre Dame Girls’ Junior and Senior Secondary School in the Diocese of Makurdi at Mkar in Benue State. This school (NDSS), the only school owned by the School Sisters of Notre Dame was built to provide education for girls. The first Principal (Administrator) of the school was Sr Peg Malone. August 15th, 1989 was a special year for us because it was the year the first five (5) Nigerian women were accepted into the postulancy. On 14th November, 1992 they made their first profession. Since then, we have been having a steady stream of candidates for religious life. Today we have ten (10) Nigerians who have made their final commitment, thirteen (13) under temporary vows, seven novices and three postulants. 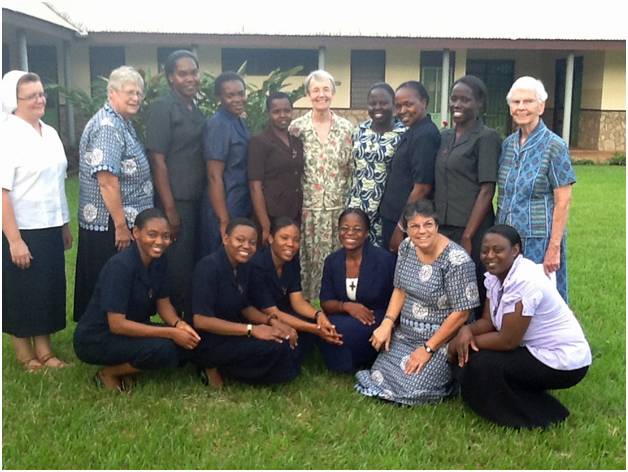 As an international congregation, most of the sisters are working in other countries, the novices are in Ghana while the Postulants are in Kenya for their formation training. 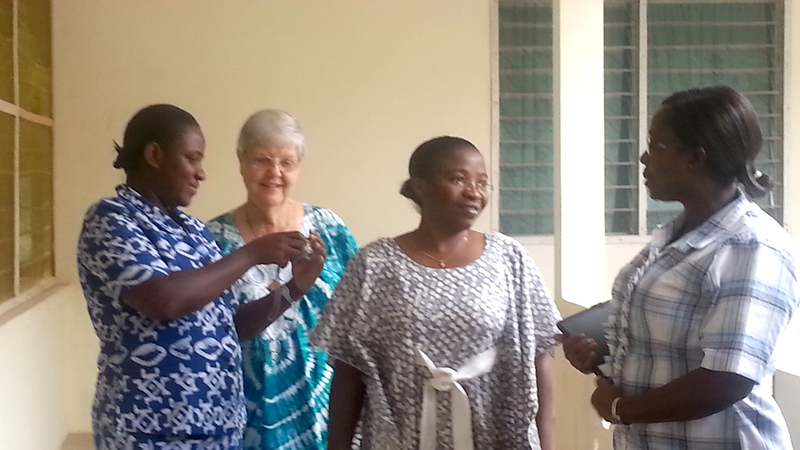 As of now, we have one novitiate and one postulancy for all African candidates. In life’s endeavor, every experience we have , in no small measure contribute to our joy and our resilience in facing today’s realities. Our God, we thank you! We are very grateful for your abundant love for us. May your name be ever glorified, as we bring you to every soul we encounter through our ministry. Categories: Uncategorized | Tags: Africa, african sisters, Anniversary, Mkar, Nigeria, School Sisters of Notre Dame, Women religious | Permalink. While much of our world is impacted with health and safety issues, we know that some of you have expressed concern for SSND’s in Africa and the particular issues we face. Presently our seven Sisters who were working in Sierra Leone are now temporarily assigned to ministries in other countries with the great desire and hope to return to Sierra Leone when it is safe. 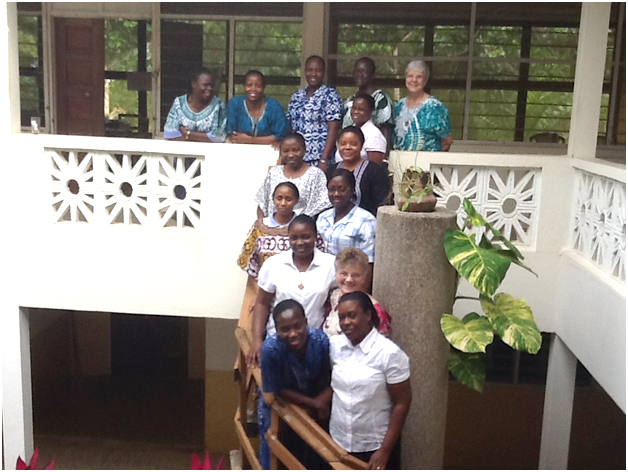 We SSND’s in Africa continue to educate others on good practices to prevent the spread of Ebola. The activities of the militant Islamic group, Boko Haram, are prevalent in the northern part of Nigeria; our SSND ministries are not in the north. At the same time, we know we have to take precautions for safety and to add to our educational efforts in building a peaceful society through our commitment to transformative education. Thank you for your prayers and concern and most especially for the ways you support us in our ministries. Categories: Uncategorized | Tags: Africa, african sisters, Nigeria, School Sisters of Notre Dame, Sierra Leone, Women religious | Permalink. Novice Joy Monica Abado in the village. Two other novices and I minister at Odumasi Parish every Friday. We go mainly to the tiniest villages about twenty five kilometers from the parish. We engage in different activities such as teaching catechism, recollection services, playing with the children and visiting the Christians in their homes. It is always a time to be with God’s people and sharing and receiving the love of God together. I always find the times for culture exchange a time of transformation and a sign of unity in diversity with the people. They do appreciate the similarity of all African cultures and realize that the differences are very minimal. This is usually followed by the emphasis on all humankind being in union with God. “We are all children of God and belong to one family.” This fosters the people’s trust in us and their openness to share. We also share about our well being. During such moments I am always touched by the openness and readiness of these people to share both their blessings and their struggle. They especially trust our prayers for the sick members of their families. We lay our hands on them and pray for God’s healing upon them. Through the prayers, they strongly believe that their intentions and struggles are cared for by God. This is a sign of a deep rooted faith in God. As we depart from their homes, they remain happy people trusting in God’s providence. In visitations we also identify with the neediest people such as the old, the physically challenged, and those who cannot practice farming to provide for their needs. Here in the village the main source of income is farming. They practice communal farming, sell some of the produce and use other farm products for family consumption. Therefore those who are not able to practice farming due to their physical status, feel hopeless and incapable of providing for their needs. Some also feel lonely and rejected as most of the time they are left home alone. Our presence is always a real blessing in their lives. 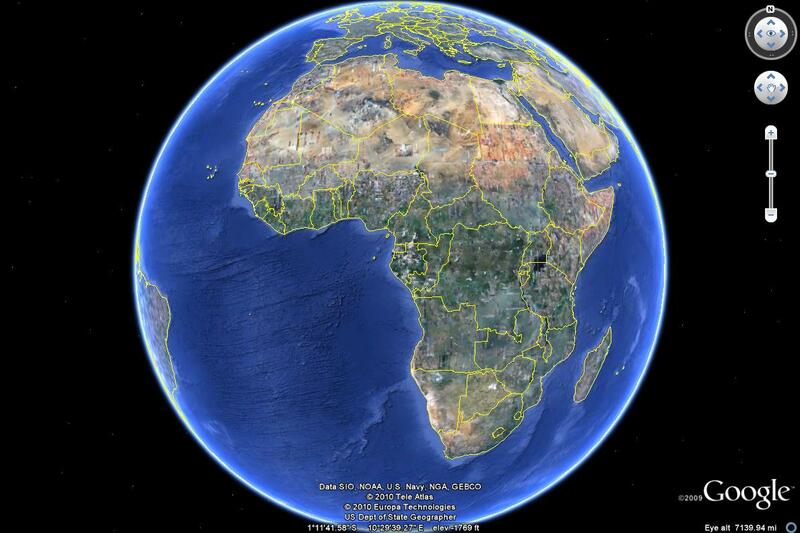 I also feel blessed in the gentle conversation with the old who are sources of treasure in the African societies. We pray with them and encourage them in their situations.. Despite the blessings, there have been times of challenge which have called me to transformation. I take the risk to go into unknown homes and am open to meet strangers. Sometimes we are rejected. Once they see us they turn away or just tell us that they are busy. Inability to communicate directly with the people has called me to be patient in my sharing with the people and to trust that whatever I share is translated correctly. In my ongoing discernment, ministry experience has been very significant. I have grown to be more open and flexible to the direction of the Spirit as I pursue God’s mission. Categories: Uncategorized | Tags: Africa, african sisters, Ghana, School Sisters of Notre Dame, SSND, transformation, Women religious | Permalink. 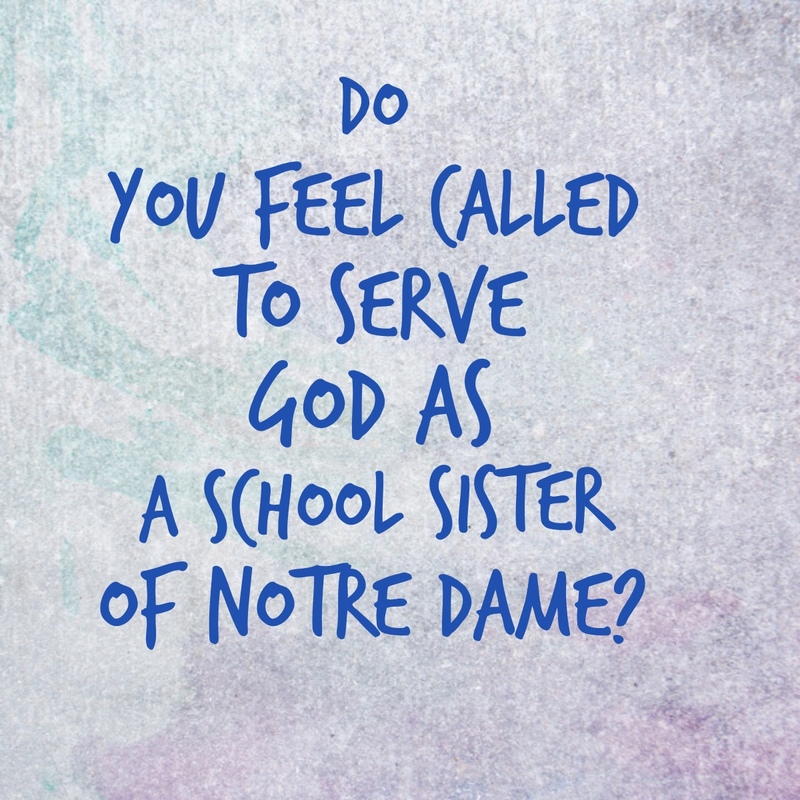 The Novices of the School Sisters of Notre Dame all have some apostolic work that they do part time as they learn about religious life and what it means for them to be a School Sister. Novice Esther Alaam shares a reflection on her experience of ministry. Saturdays are days I always look forward to. These days I spend my whole day with the orphan children at Hanukkah. We play games, teach each other songs and I read Bible stories to them. These children energize me, strengthen my faith in the Lord, and I find it a privilege to be with them. 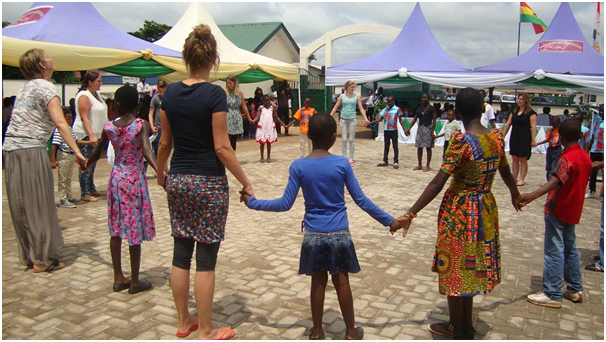 Hanukkah Children’s Home was established in Sunyani in the middle belt of Ghana. In 2006 a Dutch woman and her Ghanaian husband, Mariette and Moses, had a dream to help the poor, the neglected, and people with disabilities in Ghana. They saw that many children were homeless and some had lost their parents in sickness or accidents. They were emotionally moved by this situation and decided to help these needy children. The home started with 26 children but presently there are 47 children ranging from three months to sixteen years old who are happily living with them. They care for these children like their own. Apart from the young ones, all of the children are sent to school. Every week I see each child’s dignity being respected. They always look very neat and well cared for. What amazes me most is the way Mariette and Moses spend their time with the children. They are with them the whole day making sure each child’s needs are met and they are healthy and have enough to eat. Those with physical and or mental disabilities have home tuition by volunteers from Holland. When I look at the faces of these children every Saturday, I see the love that Mariette and Moses have shared with them. They also teach them how to love, and I see it in the way the children care for one another. Nothing moves me more than seeing the bigger children helping the younger ones to eat, wash and do assignments. They even carry the little ones on their backs. I have seen the result of the efforts this couple makes to trace relatives of the children and to reconnect them with their families. They reunite them when the child is grown enough to make a decision whether he/she want to remain with them or move to be with their families. Many times they choose to stay which shows that they are at home in Hanukkah. I see Mariette and Moses as models in our society today. They have taught me how to live and how to share what God has given me. They inspire me to share my time, love and hope with the forgotten, the excluded, and the vulnerable in the society. The response I get when I greet the children and ask how they are is what carries me home fully energized every week. “I am blessed and highly favoured.’’ They teach me to be content with the little I have. Through the generosity of the family and friends of Mariette, the children can soon attend their own school called “Circle of Life.’’ The children are so excited and very happy. The school, which opens in September, 2014, is going to help these poor orphans and also other children from the community. Mariette and Moses have brought smiles, life and joy into the hearts of these children. Hanukkah Children’s Home has opened my heart and mind to see that it takes only two people to bring change and dignity into children’s lives. It takes self- emptying love and true dedication to nurture life. My time with the children has been blessed and grace-filled. I have learned about myself and the realities of our world. God bless you, Moses and Mariette. Categories: Uncategorized | Tags: Africa, african sisters, Christianity, Ghana, Novices, Novitiate, School Sisters of Notre Dame, SSND, Women religious, World | Permalink. 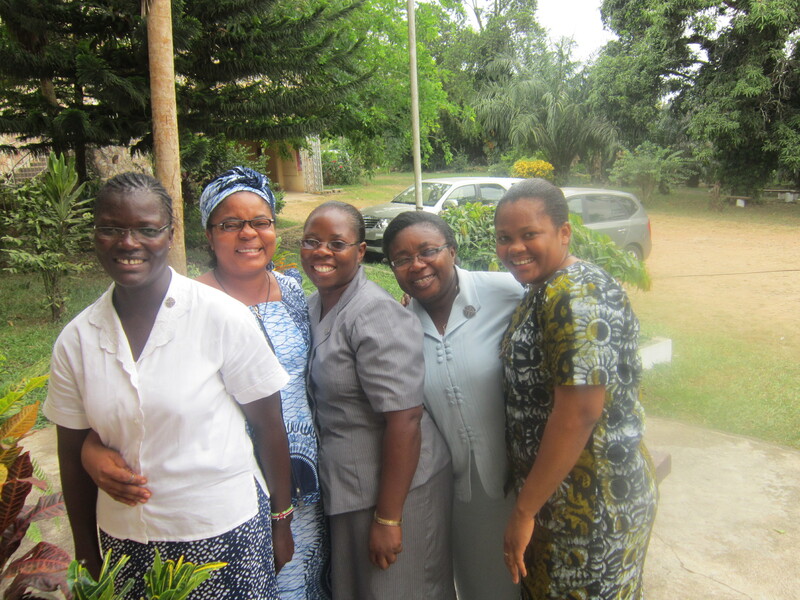 For the School Sisters of Notre Dame, Province of Africa, July 15 was a sad and historic day. Our beloved Sister Mary Mamwacha is our first native African sister to enter into eternal life. 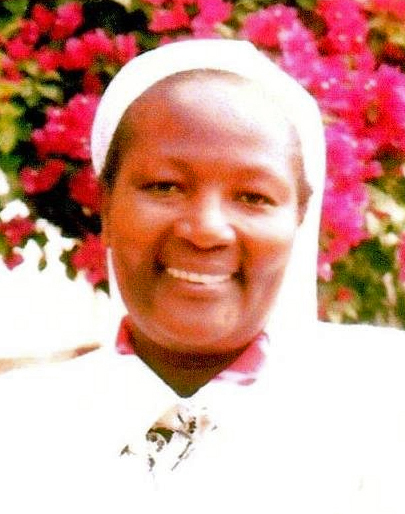 Sister Mary Kemunto Mamwacha died of cancer at the Nairobi Hospital, Kenya at the age of 46, in her 17th year as a professed School Sister of Notre Dame. Mary Kemunto Mamwacha was born on June 22, 1968, the fifth born of twelve children of Alexander Mamwacha and Elizabeth Omwenga. She completed her secondary education at Gekano Girls Secondary School in 1989. 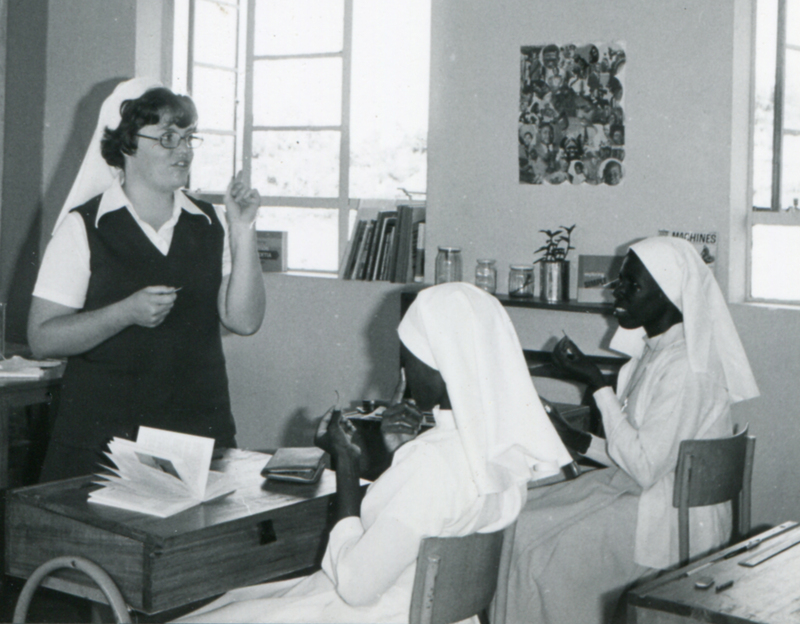 After Form 4 at Gekano Girls, Mary left home for Nairobi where she worked as a nursery teacher before she joined St. Augustine Teacher Training College which she completed September 1992. 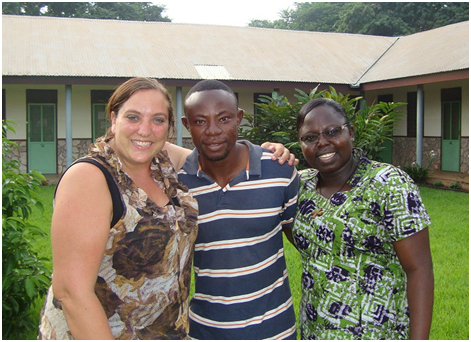 During her teaching ministry Mary earned her B. Ed (Primary) in 2009 and went on to study for her M.Ed. (Guidance and Counseling) in 2011. Mary claimed that her vocation developed in Standard 6 after watching Sisters during Mass. It was then that she joined a parish Vocation group and started attending meetings every Saturday and Sunday. While at Gekano Girls, Mary and her friends shared a lot about their futures and she became interested in the School Sisters of Notre Dame. 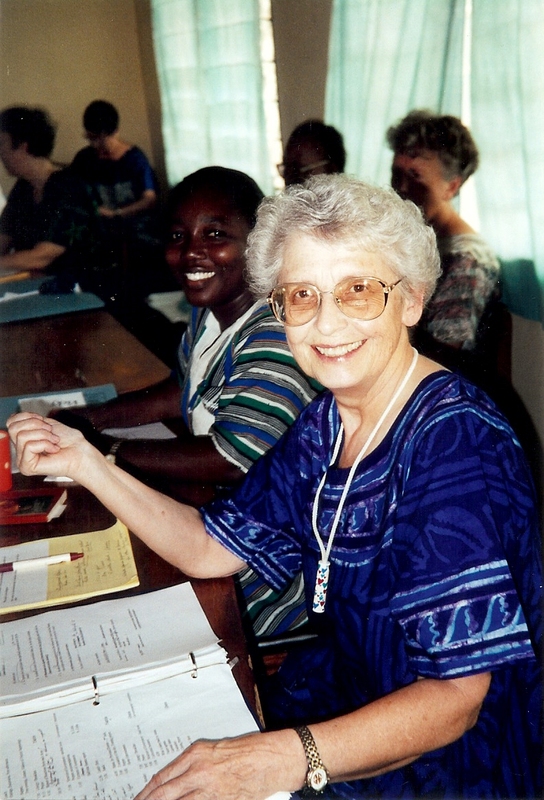 She was influenced by the work of the SSND’s at Gekano and started communicating with the SSND vocation director, S. Roxanne Schares. Mary became an affiliate while she was at St. Augustine’s, joined the Postulancy January 22, 1994, was received as a Novice on May 29, 1995, made her first profession on the 19th April 1997 and her perpetual profession on December 30, 2002. 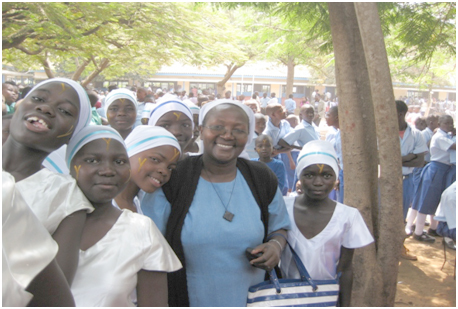 Sister Mary Mamwacha spent the first 2 years of her ministry as a teacher at Gekano Primary School from 1997-1999. From there she taught at St. Mary’s Primary Boarding School, Nyabururu, Kisii for 8 years. Then from August 2008 to June 2009 Sister Mary participated in the SSND International Program studying German in Germany followed by some months in Rome. 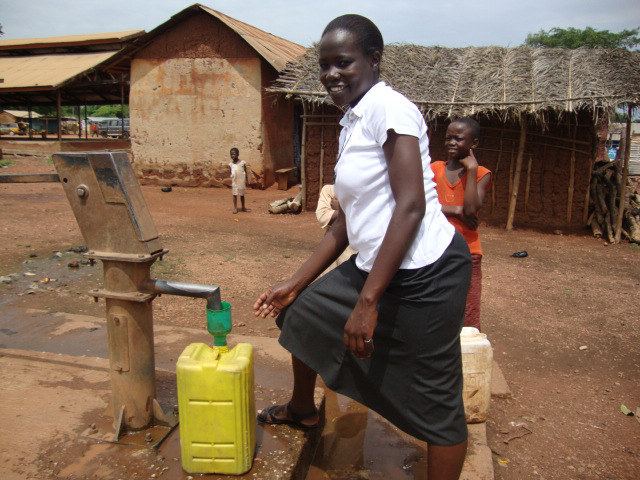 From 2010 until January 2013 Mary taught at Bar-Ogwal Primary School in Kisumu, became the Deputy Head and then the Head of the school. Due to her health needs, in January 2013 Mary was transferred to Jamhuri Primary, Nairobi to be closer to her doctor. One of Sister Mary’s greatest gifts was her ability to make and nurture friendships. She was a person of “connections” and had the amazing quality of reaching out to so many. Of note was her deep care for disadvantaged girls. She reached out to them in love and helped them to find the support they needed. She also had a great love of photography and cooking. While she struggled with cancer for over three years, she did not become self-focused. Through her deep faith in God she continued to reach out, particularly to those in need to offer them her presence, her comfort and her prayers. May she rest in peace and intercede for all of us with our loving God! Categories: Uncategorized | Tags: Africa, african sisters, Kenya, Mary Mamwacha, School Sisters of Notre Dame, SSND, Women religious | Permalink.